The Blue Collar Foodie plunges into a true North Jersey Dive Bar with High Quality Food at Blue Collar Prices! 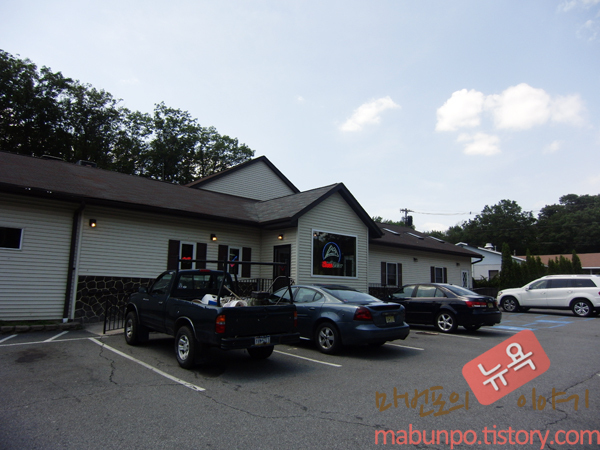 As you drive up to Pub 199, located at 199 Howard Blvd, Mount Arlington, NJ 07856, you might ask yourself, why the hell did The Blue Collar Foodie send me to the end of civilization to some hole in the wall dive bar. You might be pondering if you want to drink your beer out of the bottle instead of risk drinking it out of any cups this establishment might sling your way. As you enter, you might begin to reconsider asking for a table in the dining room that is littered with taxidermy from the ground to the ceiling. You may even grab your I-phone out of your pocket and contemplate deleting me as a friend on your Facebook account for steering you down this dark and dreary foodie path. I implore you to put your phone back in your pocket and ask the server to your right to find you a table at one the best foodie finds in North Jersey. Sure, it ain’t sparkling new like the chain restaurants and the decor leads you to believe that the owner might shoot your family pet and mount him on the wall, but if you can get past these small issues and shovel some food down at Pub 199, you too will be singing the praises of this establishment to all your foodie friends. If you are a member of PETA or just really can’t stand the idea of hunting, this is not the place for you. When I say that Pub 199 has Taxidermy as decoration throughout the restaurant, what I mean is that you would be hard-pressed to find a square foot of empty space between the dead things that adorn the wood paneled walls. Not only deer and bears either mind you, we are talking Giraffes, Elephants, Wolves, or some crazy antelope type things that only a biologist could identify. This place is seriously like a museum of animals that the owner shot in the face. The reason why this restaurant can serve quality food at ridiculously cheap prices, and I will explain just how cheap in a minute, is because, it ain’t pretty. If you want perfectly plated food served on a plate with gold inlay don’t go to Pub 199, if you want a huge amount of great food slapped on a plate delivered by a somewhat surly waitress, this is the place for you. They only take cash! Credit card companies take a percentage of the bill when you pay with a credit card, and that percentage is always passed on to the customer in order to protect the owner’s small profit in the restaurant business. The owner of Pub 199 fixed that problem and just does not except credit at all. Go to the bank, the food is worth the hassle. If you forget to grab cash, there is an ATM on site but you will be charged a service fee. If you arrive at Pub 199 during normal dinner time you are going to have to wait a bit for a table. This place is no secret in the area and the amazing prices bring locals in by the hordes. With that said, let’s talk about why this out of the way, inconvenient, and dingy Pub is still in business, THE FOOD. Pub 199 offers some of the best deals on quality food that a true Blue Collar Foodie could ever hope for. 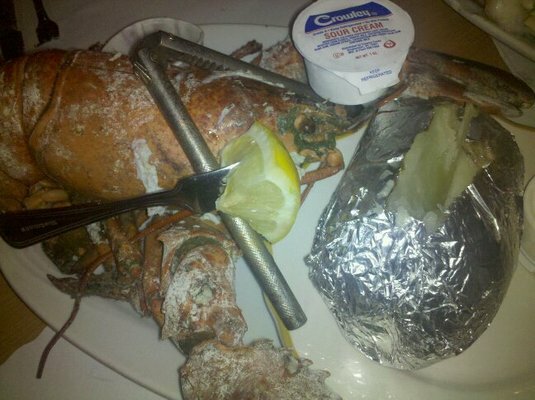 Whether you are looking for a 1 ½ pound Lobster for $13.95 complete with a mashed potato, a giant 16 oz steak for $12.95 with a potato and a veggie, their King Crab Leg and Steamer combo, or several other tantalizing options you will not be disappointed. Their gargantuan serving sizes can quell any tumbley that is rumbley, including mine, which is not an easy task I assure you. I do recommend grabbing an appetizer of steamers for the table which are also at rock bottom prices per dozen. Even though the prices are, as “Crazy Eddie” once said, INSANE, the food itself is still of a higher caliber than most restaurants around. Of course, you can find fresher more succulent lobster or leaner steak at an upscale eatery in the City, or perhaps in down town Montclair, but you will pay through the nose for it. Pub 199’s steak is a modestly seasoned and untrimmed grilled hunk of flesh that allows the cut of meat to speak for itself, and it does. 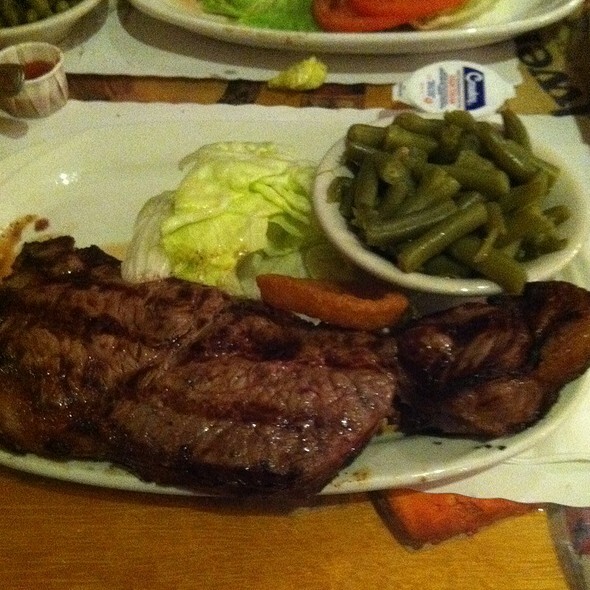 This steak is not only juicy but bursting with true meat flavor that is not disguised by 37 different spices. I enjoy it immensely, mostly because my favorite part of a steak is what I have coined, “meat gum,” or the fat that most places throw away. Kat is actually not a fan of meat gum, which works great for me because I get to eat a little bit of steak while I dig into my Lobster. Again, the Lobster might not be the best in the world but for the price there is no better, in all the land that we call New Jersey. Pub 199’s lobster only needs the paper cup full of a melted butter served with it to accentuate the already fantastic flavor. Truth be told, I have been to Pub 199 quite a few times and have never been disappointed with anything I have eaten there. On top of the wondrous selection of colossal foodie dishes, Pub 199 offers a full selection of beer, wine, and spirits. Be cautious as you order drinks though, if you drink here like you drink at most bars the bill will sky rocket. The drinks at Pub 199 are not as cheap as their food and this is where they make up some of their profit, so you have been warned. But please don’t let that stop you from having at least one cold draught beer with your meal because not only is one drink mandatory but it also adds to the Pub 199 experience. Pub 199 is a restaurant that screams Blue Collar Foodie, and I am proud to recommend it to all my readers. When you go, remember to bring cash and an open mind and I promise you, you will leave this dive bar with a full stomach and a smile on your face. Please LIKE my Facebook.com page to keep posted on all things Blue Collar Foodie related! Or Follow me on Twitter by following this link!